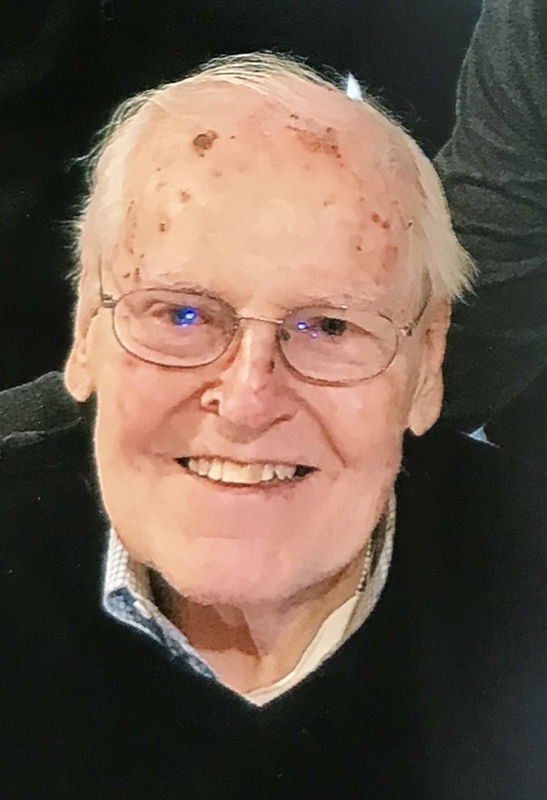 McPHAIL, John Colin of Winchester passed away peacefully with his children by his side on February 23, 2018. Beloved husband of 63 years of Elaine A. McPhail (Foley). Loving father of Keith McPhail of Rochester, NY; Brian McPhail of Menlo Park, CA; and Alison McPhail Shank of St. Paul, MN; Dear grandfather of Annika and Colin McPhail, and Ian and Bryn Shank. Predeceased by his wife Elaine; cherished brother, James McPhail; and devoted sisters Mary McPhail, Carolyn McPhail, Beryl McPhail, and Marian Brennan (McPhail). Also survived by his loving nieces and nephews, Shayne Reardon and Jack McPhail of Billerica; Jimmy McPhail of Aptos, CA; and Phyllis Brennan of West Medford, MA. Visiting hours will be held from 5:00-7:00 P.M. on Thursday, August 2, at Lane Funeral Home, 760 Main St., Winchester, MA. A funeral mass will be celebrated at 10:00 A.M. on Friday, August 3, at St. Mary’s Catholic Church, 158 Washington, Street, Winchester, MA.